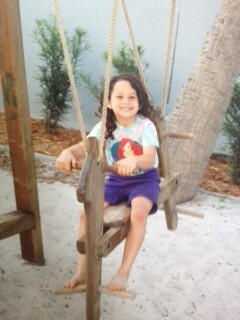 I’ve had curly hair since, well, forever basically. Once my hair grew in it (which I’m told took an unusually long time), it was curly. This is me, on a good hair day, age 5ish. After many, many years of struggling with my curls, I finally love them. Anyone with curly hair knows what I’m talking about. To me they scream SHAINA, they’re a huge part of my identity and so coming to a place where I can love and enjoy them is awesome. I really can’t be bothered with long and laborious hair routines, and these tips keep my curls manageable and low maintenance. Wash sparingly and condition regularly. Washing your hair every day will at worst dry it out at best is probably unnecessary, curly or not. Give it a healthy dose of your favorite conditioner and save the shampoo (sulfate free) for a few times a week, if that. Brush/comb sparingly. Again, only a few times a week, and either right before or during a shower. Combing it out with your fingers in the shower might take a few minutes longer than dragging a brush through it every day, but it keeps the curls tighter and cuts back on frizz. Plop. Towels also increase frizz and blow drying hair takes forever and is not super great for curly hair. So try plopping, a quick drying/styling method using a t-shirt. Enjoy less frizzy hair, tighter curls, and a good laugh at the name. I hope these tips are helpful! Do you have any helpful tips to share?